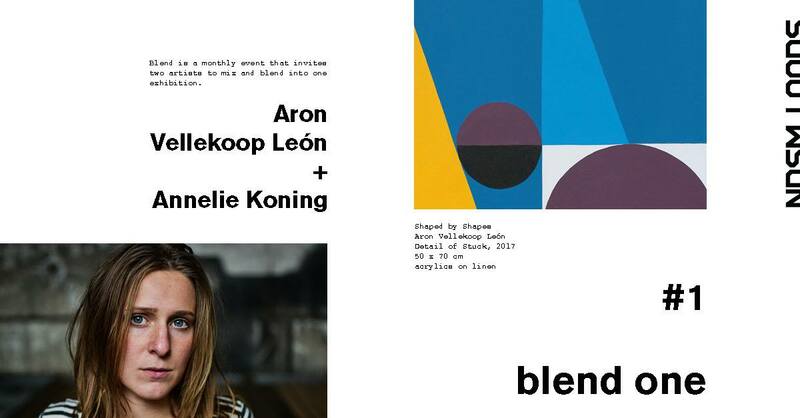 Blend is a new monthly event at the NDSM Welcome Center that invites two artists to mix and blend into one exhibition. Aron Vellekoop León (Fuerteventura, Spain 1987) is a Dutch/Spanish illustrator and visual artist, currently living and working in Amsterdam. In his work Aron Draws derives inspiration from his worst and best experiences and strips them down to their minimal essence. These shapes are the language in which he explores the nature of his own emotions. Annelie Koning is a Dutch experimental vocalist and composer. In June 2017 she graduated from the ArtEZ conservatory in Arnhem (direction Jazz & Pop). In her work Annelie combines composed parts with improvisation in which she continuously explores the possibilities of her voice. In 2015 she started the band LILLY KING, in which she combines Dutch-language compositions with improvisation. The songs have a poetic character and organic structure which will carry the listener away from the here and now.